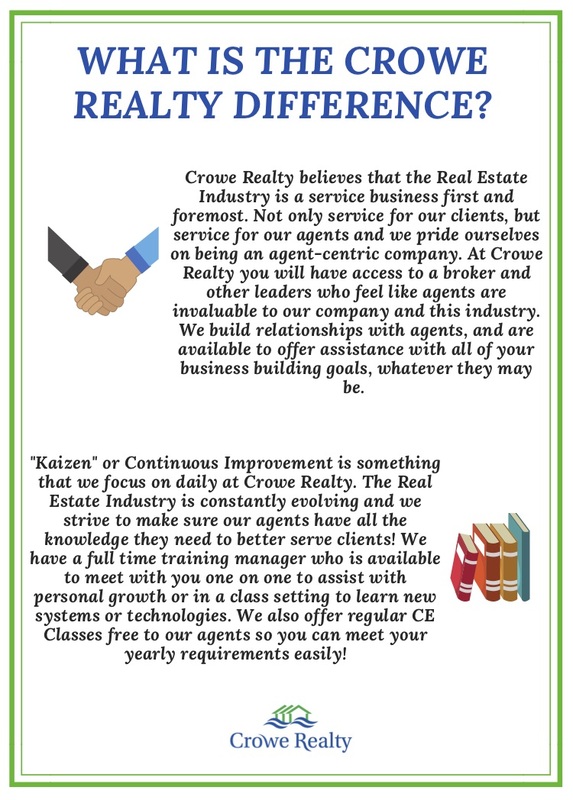 Crowe Realty has so many exciting things happening right now and we can't wait to share everything with all of you! 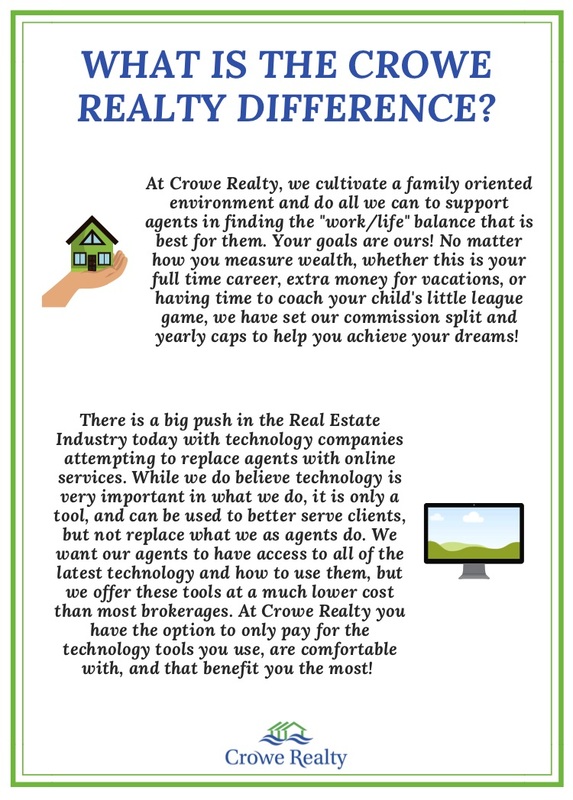 If you are an agent, or looking to become a new agent, maybe the Crowe Realty Family is the place for you. We offer so many support tools that you can't find with other brokerages, including ways to attract and convert leads, marketing solutions, a comprehensive CRM, and much much more. Contact our office today for more information on how we can help you succeed.